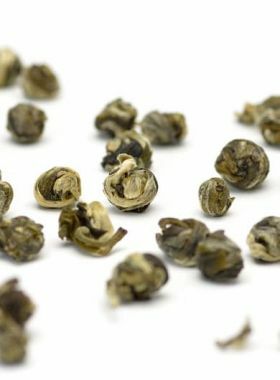 The first ring-shaped single tea buds green tea from Teavivre with novel style, yielding a rich aroma and sweet taste. 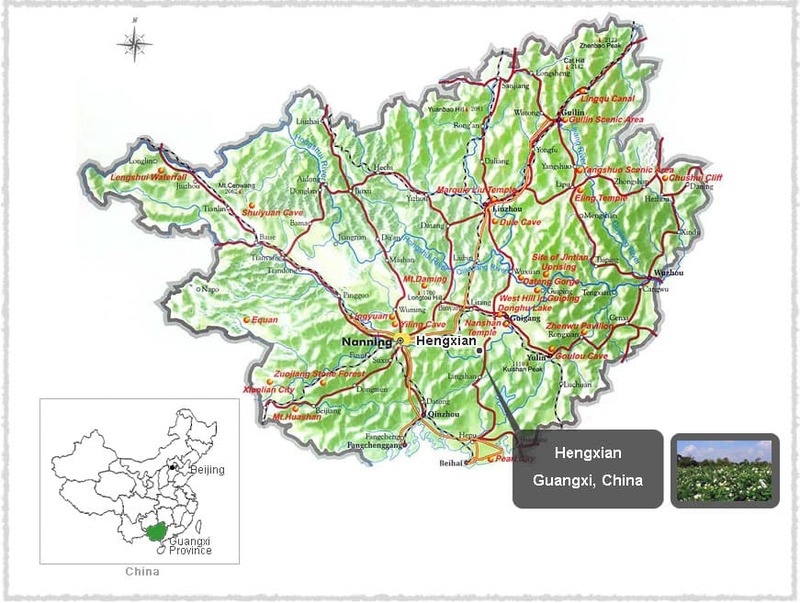 Nu Er Huan, translating literally to “daughter’s ring”, is a type of Gong Yi Cha, or tea art. 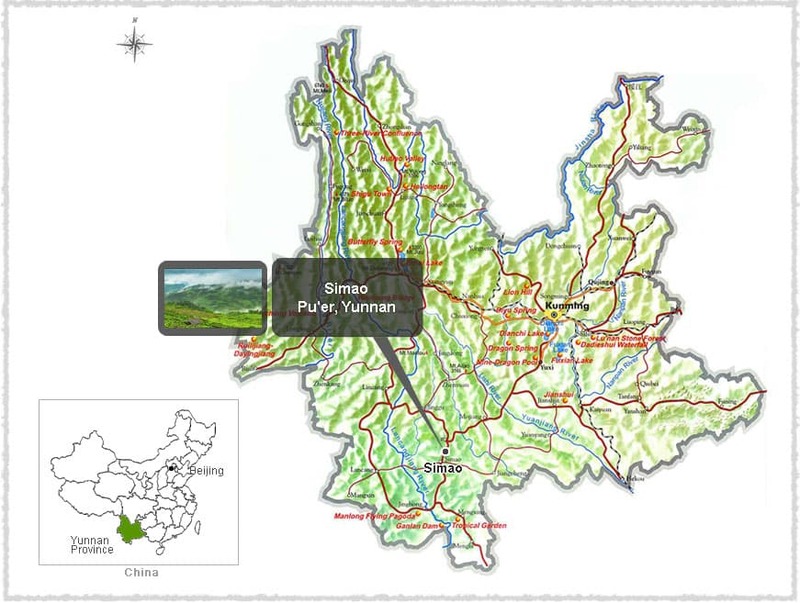 The fresh material for this tea is selected from young, tender single buds from the Pu’er area, about 1500m above sea level, and after fixation is manually curled into the characteristic small rings. 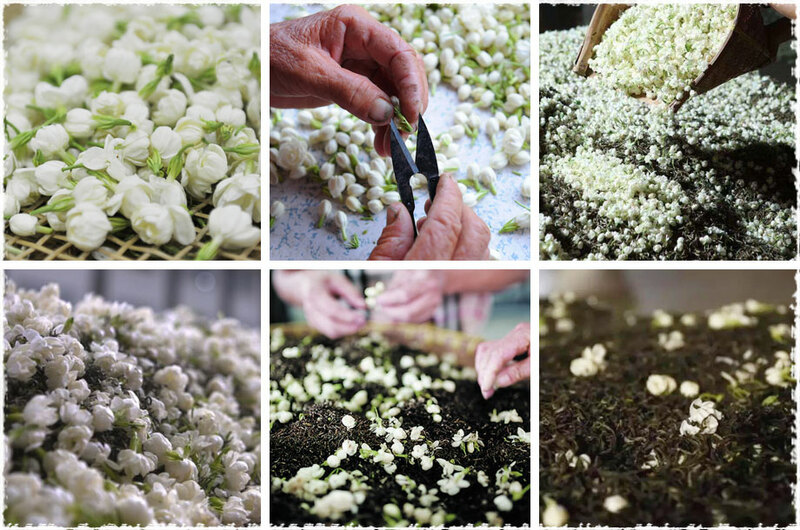 Following this, the jasmine flowers are selected and prepared for the scenting, and the tea maker uses his masterful skill to mix the budding jasmine into the green tea; through a series of traditional crafts, the tea absorbs the water, essence, and aroma of the jasmine flowers. The two are kept together until the flowers wither, at which point they are separated for the process to be repeated another five times, to ensure that the tea has fully absorbed the fragrance of the jasmine. When brewing you can watch the lovely little rings begin to stretch in the pot, yielding a bright yet pale yellow liquid, and freeing some of the thin white fuzz from the surface of the leaves. It strongly carries the jasmine scent during and after brewing, and the sweetness of the flowers comes apparent with even the first sip. 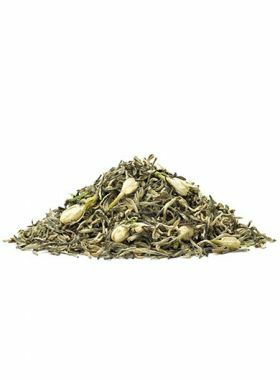 Because of the way the leaves unfurl, we recommend brewing this tea in a glass pot or cup. 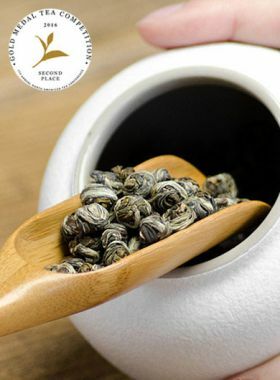 As well as the six-step scenting, this type of Nu Er Huan undergoes one more process called Yi Ti or Ti Hua, “final scenting”, done with the goal of further enhancing the jasmine’s intensity. Only first-grade flowers are used for this, with their large petals, pure white color, and strong fragrance. Mr. Chen is the producer of this Daughter’s Ring Nu Er Huan green tea. 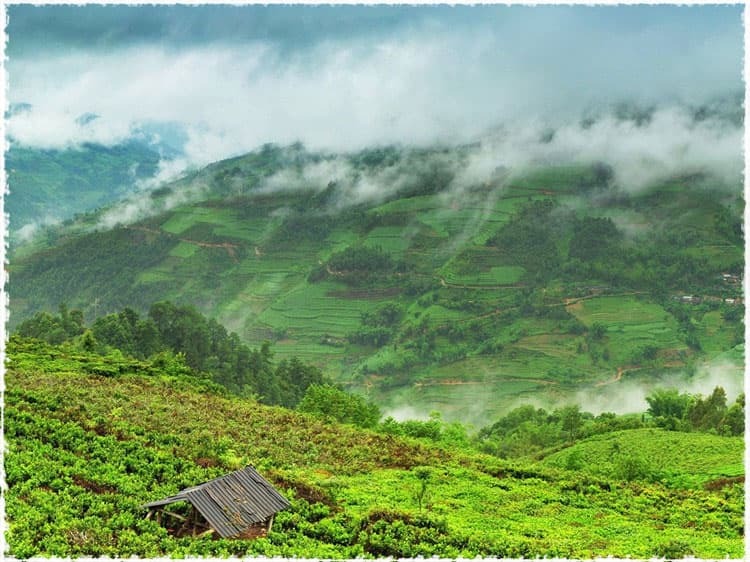 He has been honing his craft since he was fifteen years old, and has worked with jasmine tea specifically for over forty years. 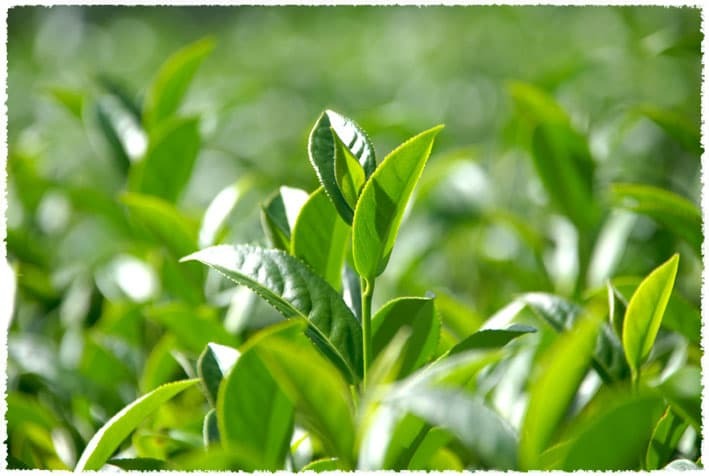 As a result it has become extremely familiar to him, and he works it in his own special style - which has become one much sought after by tea lovers.